Wealth Solutions is created by real enthusiasts of exceptional goods such as fine Bordeaux wines, top quality whisky, unique Swiss watches and art. Wealth Solutions was established in 2007 with a mission to provide luxury goods, works of art and financial products for demanding customers. The portfolio of our products includes works of accomplished artists, bottles of rare whisky or cognac, a unique wine selection and exclusive watches, as well as property and investment products. Wealth Solutions specialises in compiling collections of rare alcoholic beverages. Collections of our customers include the oldest whiskies in the world, or cognacs dating back to the turn of 18th and 19th century. Both the most powerful companies and family distilleries or cognac houses share their most valuable alcoholic beverages with us. Glen Grant – Gordon&MacPhail has bottled editions of the oldest whiskies from Glen Grant distillery – which happen to be some of the oldest whiskies in the world – especially for Wealth Solutions. Pre-phylloxera cognacs – The cognac houses Tiffon and Bache-Gabrielsen provided for our customers special editions of pre-phylloxera cognacs which were made from distillates from the turn of the 18th and 19th century. Glenfarclas – Glenfarclas distillery bottled the oldest whisky in their history especially for Wealth Solutions. Karuizawa – Especially for our customers, we prepared a limited edition of whisky from the legendary Karuizawa distillery. As at the moment of sale, Karuizawa 1964 was the oldest whisky ever to be produced under this brand. Wealth Solutions advises on purchases of art. We also develop and manage works of art collections. In this area, we are the leading company in Poland, and one of the largest companies in this part of Europe. art tank collection – created by Wealth Solutions and our customers, it is one of the largest art collections in Central and Eastern Europe. Art Academy – practical course on art market organised by Wealth Solutions. For years, Wealth Solutions has been building collections of wines and marketing high-quality wine. As far as this area goes, we are the leading company in Poland and one of the largest companies in Europe. Our knowledge, experience and scale of our operation enable us to offer excellent wines, high-quality services and access to renowned partners. Our offer includes limited editions of outstanding watches from well-known Swiss manufactures. Our watches can be a great addition to any watch lover’s collection. Cognac Watch – In cooperation with Armin Strom, we developed the first ever Swiss watch with alcohol. Cognac Watch has a built-in capsule with the oldest cognac in the world – Gautier 1762. Guinness World Record – Gautier 1762 cognac used in manufacturing Cognac Watch was officially entered into the Guinness Book of Records as the oldest cognac ever to be sold at auction. Whisky Watch is a unique watch that not only measures time in hours, minutes and seconds but is also a genuine time capsule. The oldest whisky in the world – Glenlivet 1862 is hidden inside. Project made in partnership with Louis Moinet. Rum Watch – In cooperation with the Speake-Marin manufacture, we created the first ever watch with rum – the oldest rum in the world, Harewood 1780. Guinness World Record – Harewood Rum 1780 used in manufacturing Rum Watch was officially entered into the Guinness Book of Records as the oldest rum in the world. BaselWorld – International Watch Magazine website found Cognac Watch one of the most interesting premieres of Baselworld 2016 – the most important industry trade fairs in the world (1,500 suppliers). 800 – publications about Cognac Watch within 6 months, for example in: Forbes USA, Yahoo Finance, GQ Magazine Germany, or on key industry websites. Wealth Solutions has been present on the property market for years. Our offer includes agricultural land and land for construction and services. We have also developed a unique model for group investments based on special purpose vehicles which enables investors to co-own property they would not otherwise be able to acquire, and to carry out investments on such property. Diageo is a powerhouse on the alcoholic beverages market. Their offer includes alcoholic beverages of such brands as Johnnie Walker, Hennessy, Guinness, Smirnoff, J&B, Captain Morgan, Baileys, Port Ellen, Lagavulin, Talisker or Brora. Some of these pride themselves on their over 250-year-old tradition. The beginnings of the company date as far back as 1912, when a manufacture of golden nibs and fountain pens was established in Bassano del Grappa, Italy. Over the years, Montegrappa has expanded their portfolio, and presently, next to meticulously crafted and world-famous pens, their offer also includes watches, cufflinks, and other luxury items. Speake-Marin is an independent Swiss workshop run by a passionate watchmaker. It produces exclusive watches capable of standing the test of time – both technically and aesthetically. The workshop was created by Peter Speake-Marin, a master watchmaker from Great Britain. Armin Strom is a Swiss watch manufacturer which produces nearly all watch components on their own, including mechanisms. The final product is made from A to Z at a single location, and, owing to the fact that the entire manufacturing process is lengthy and labour-intensive, the production scale is small. The Armin Strom manufacture makes only approx. one thousand top-class watches per year. Glenfarclas Highland Single Malt Scotch Whisky has been distilled on Speyside for six generations by one family – the Grants. The Glenfarclas Distillery was legally established in 1836, on the Recherlich Farm at Ballindalloch, in the heart of Speyside. Bache-Gabrielsen is one of the few family-run houses of cognac. Currently, it is managed by a representative of the fourth generation of Bache-Gabrielsens in Cognac. The company is also one of the largest cognac exporters worldwide. Every year, the house of cognac produces 1.5 million bottles which reach customers in 36 countries on 6 continents. This family business has bottled single malt whisky for more than 120 years. Currently, it is the world’s largest independent bottler of Scotch, as well as its distributor and producer. In their warehouses, the company collects old wine casks which can rarely be found in other distilleries. The company is responsible for, among other things, the market launch of some of the oldest whiskies in history. Tiffon house of cognac, where one can stumble upon alcoholic beverages with more than two-hundred-year history in its basement, was established in 1875 in Jarnac by Médéric Tiffon. Currently, it is owned by the Braastad family, and remains one of the last family-run houses of cognac. Ateliers Louis Moinet was founded in Saint-Blaise, Neuchâtel, in 2004. 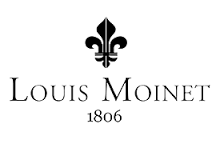 The fully-independent firm was established to honour the memory of Louis Moinet (1768-1853): master watchmaker, inventor of the chronograph in 1816 (certified by Guinness World Records™), and pioneer in the use of very high frequencies (216,000 vibrations per hour). Together with Michał Kowalski, the originator and founder of Wealth Solutions. In the past, a financial product analyst at Expander. At Wealth Solutions, Maciej is responsible for developing and promoting products and services. Graduated from the Warsaw School of Economics (SGH). Authored nearly 40 structured products. At Wealth Solutions, he manages the sales network and co-develops collector’s beverages. Graduated from the WSB University in Poznań. Financial Director with many years of international experience in managing finance, controlling and auditing. 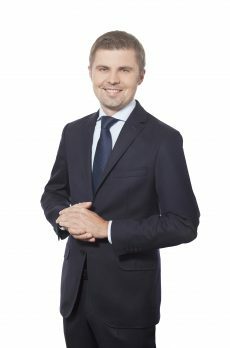 Łukasz is a Chartered Certified Accountant (FCCA). He worked for KPMG, Bridgestone Europe in Brussels, GE Capital in Warsaw and Prague, and Studio Moderna in Poznań and Warsaw.